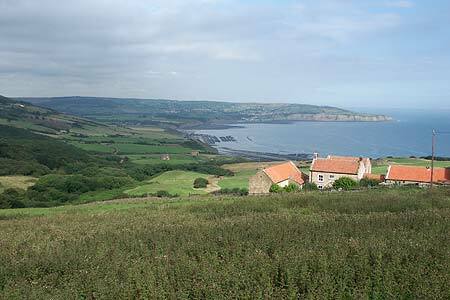 This dramatic and attractive section of the Yorkshire Coast has attracted visitors for many years even before the North York Moors National Park was inaugurated. The walk's outward route follows a section of the Cleveland Way National Trail with the return over the disused railway that once ran from Whitby to Scarborough. A GPX File is available for download (see walk description).